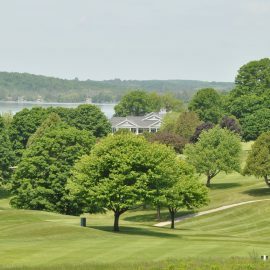 The 16th Annual Golf Benefit is scheduled to take place on Thursday, June 6, 2019, at the beautiful Walloon Lake Country Club! Participants in the 16th Annual Camp Daggett Golf Benefit will enjoy 18 holes of golf at Walloon Lake Country Club. Lunch will be provided on the veranda overlooking beautiful Walloon Lake and Silent Auction items will be available to bid on. 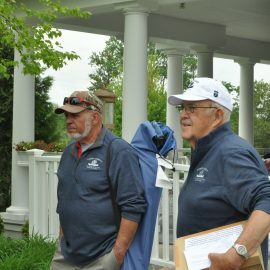 Following a round of golf, participants will gather on the porch to relax and socialize during a cocktail hour and place their final bids on the silent auction items. Prior to dinner there will be a live auction of a few great packages and the Fund the Mission. There will be 1st, 2nd and 3rd place winners in both a gross flight and net flight for our golfers. There will also be a 50/50 drawing, Money Shot, closest to the line and closest putt (without going in) as well as two Hole-in-One opportunities and a putting contest with a potential winner of $5,000. 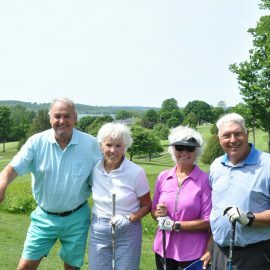 The event in 2018 was the most successful golf benefit in its 15 year history! We could not do this without all of the great golfers who participate, the generous supporters and the great volunteers that help us! If you are interested in participating as a golfer, being a sponsor or a volunteer at the event or on the committee, please contact Grace Ketchum. Here are links for the Registration Form and the Sponsorship Opportunities. IF YOU WANT TO PLAY GOLF IN 2019, PLEASE CONTACT US AS WE ARE LIMITED TO 24 TEAMS!